In my last post, I explained what searcher intent was. 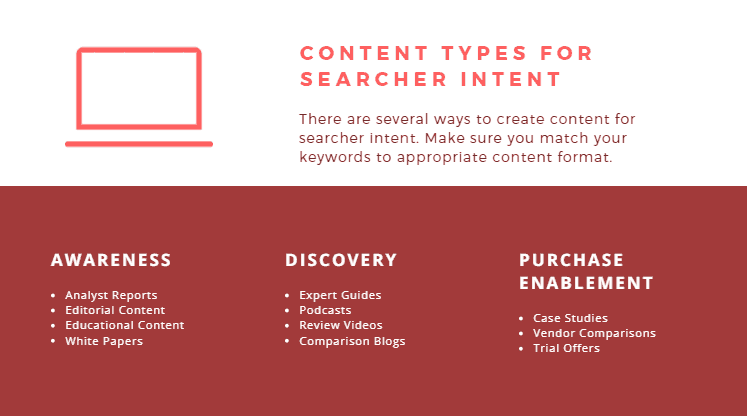 In this article, I am going to lay out exactly how to develop the content of searcher intent. 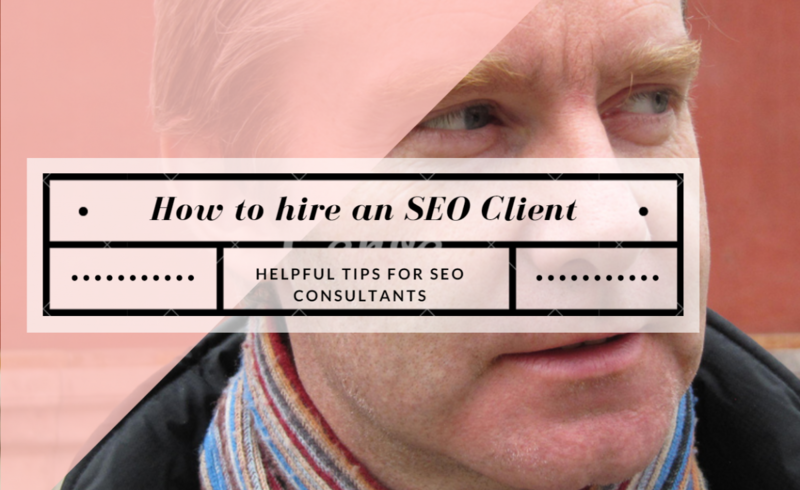 It’s important to qualify the stage that the searchers intent is at once they reach your webpage. In most cases, they are not ready to buy and require additional information. It is your job to funnel them to the appropriate page or place on the page to enable them to continue down the buying process. Here you write about the environment surrounding your product. Set the tone and customer avatar. Who is the most likely user of the product, what do they care about and how do they live their life? Integrating the product into the lifestyle can be established with content at this stage. Forms of content include related news events, general topic posts to identify good and bad sides to a lifestyle choice and graphic media forms like infographics are popular at this stage. Information not sales are the best way to establish the awareness of the product. Discovery aspects of a product. Motivation is key in this second phase. You have to assume they are already thinking about how the product or service will benefit their life. Content should originate from this assumption in the discovery phase. They know they need this product but they are not sure of the exact specifications that will satisfy them. It’s also important that they are in the correct place on your site at this point. They should not be on the homepage and they should probably not already be on the buying page. There should be sufficient information framing the product in an article or media format to keep them engaged and beginning to discover how exactly this product will enhance their life. “How does Patreon create a membership page for my subscribers? Enabling purchase of a product. At this point, the customer is ready to buy but you still might need to offer them a final push to get them to break out their credit card. They have either been in touch with how they can purchase or some specific issue about warranty conditions or problems they had in order to pay. Your content should reflect this understanding and head off every common buying objection that might arise. They will have searched for something with a purchase intent such as buy+[your keyword], order+[your keyword], find+[your keyword]. It’s likely that they will respond well to an instant discount if you are tracking their movement on and off the site. Either a popup or a live chat message would be a strategic possibility. 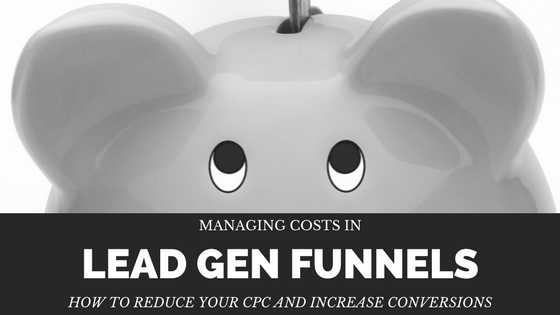 This is veering more into conversion rate optimization, but it is still important to mention. source: Sports Illustrated. Kate Upton “validating” the purchase stage of content. 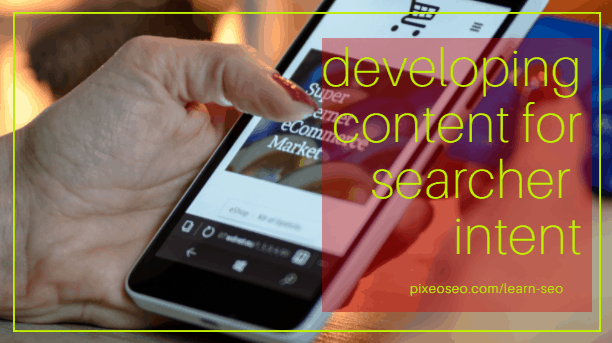 In summary, there are three important but distinct forms of content to develop supporting searcher intent. Make sure they are properly positioned on your site and in links built back to your site. Establish credibility with your buyers by supporting their psychological needs at each step in the buying process and you’ll be rewarded with a higher conversion rate. 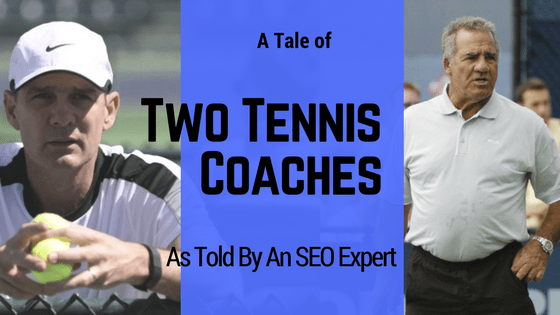 If you’d like to discuss buyer intent or how to develop a high converting sales funnel, book an appointment or contact me directly through my social media channels linked just to the left of this article.